He comes across as a kinda laid back but happy go-go chap; moderate bling, bold well reping locks, one studded earring, crested foot wear and then, on a dark skin 1 to 10 chart, he sure will come in at No. 2. When HIT 95.9 FM, Calabar, Cross River State’s first private urban radio station came through and opened media shop, one of her add-ons was the often imitated but never duplicated turntable beatkiller, Ibrahim Yusuf Olasunkanmi, better known as DJ Necterr. 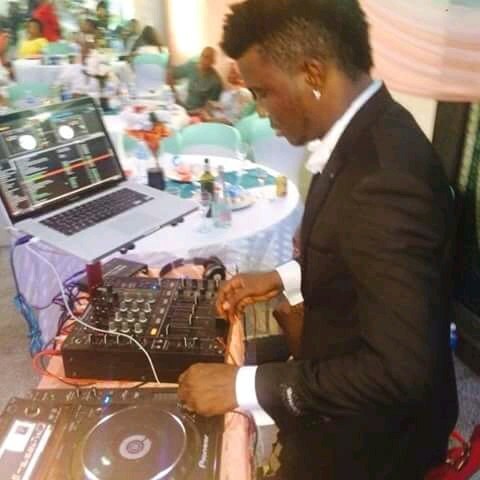 Necterr’s playful versatility behind the wheels of steel, www.calitown.com discovered, started way back, under the tutelage of unarguably one of radio’s top-perched DJs, Nigeria’s DJ Otega. He is a professional DJ at home with the Pioneer DVDJ 1000, the Rane Serato Scratch, Technics Turn tables, even the powerful Pioneer DJM Mixer. “My biggest influencers as a DJ remain Jazzy Jeff, Funkmaster Flex and DJ Clue”, he tells us. Jeff is the American record producer, DJ, actor and comedian, best known for his friendship and collaboration with Will Smith as DJ Jazzy Jeff & The Fresh Prince while Flex is a disc jockey, rapper, record producer, actor, and host on New York City’s Hot 97 radio station. Ernesto Shaw, better known as DJ Clue, is the resident DJ at New York’s 105.1 FM. Is it difficult to understand where his dexterity is coming from? When this Epe, Lagos State indigene spins, you always will struggle between nodding your head, tapping your feet or getting up to dance. He maintains that he loves his job because it “always gives me joy and I love keeping myself busy with the music I play and the fact that the music I play makes a lot of people feel good”. 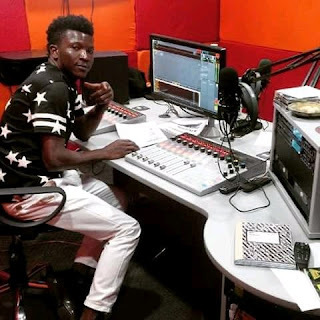 While not many persons know that Necterr recently was in a collabo with musicians, Deeno and Iceboxx that pushed play to the Junk House Entertainment produced song “Gawa”, he told www.calitown.com that “working with the multi-talented duo was refreshing. The song enjoyed good air play and sincerely, it is a club banger any day. I hope to step in a few other collaborations that are lined out for me”. “Ah, having been in the game for close to 13 years now and listening to loads of musical stuff, in my private time, I remain stuck on Drake, 2Pac, 2Baba and the iconoic Fela”, he maintains. It is a musical preference that awes us. Right about now, Necterr says his three songs playlist will be one that contains, “…’Amaka’ by 2Baba, Davido’s ‘Chioma’ and Wizkid’s ‘Soco'”. Apart from a working stint at Raypower 100, Lagos, Necterr has jammed for clients like Rosabel, TPT, Nigeria Beweries, Nigezie, Hip Hop World, Ariya Entertainment and a whole lot of others. Ask him what Nigerian food tickles his fancy and directly he tells you, “I like Eba and soup, then Rice and Yam”, hehehehe! If you are an upcoming DJ, Necterr has this advice for you, “stay focused and never act like someone else just be yourself … and work hard”. Get to catch up with this fly DJ, on Mondays, 12 – 2 pm on #waybackhits and every other Tuesday of the week and on “Throw Back Thursday”, 12-2 pm on HIT 95.9 FM.